The perfect escapist read, for all fans of Cathy Bramley and Jenny Colgan. 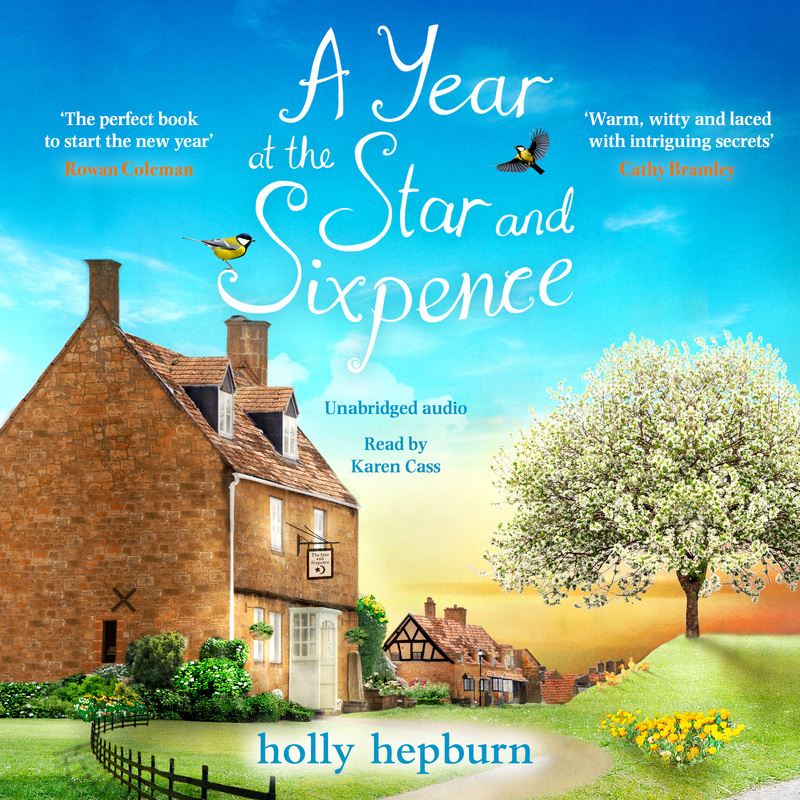 A Year at the Star and Sixpence is Holly Hepburn's four Star and Sixpence novellas collected together as a novel for the first time. When sisters Nessie and Sam inherit a little pub in a beautiful country village they jump at the chance to escape their messy lives and start afresh. But when they arrive at the Star and Sixpence, it's not quite what they imagined - it's pretty much derelict, ruined by debts, and it's going to be a huge job to get it up and running again. But they are determined to make the best of this new life and they set about making the pub the heart of the village once again. Their first year at the Star and Sixpence won't be easy, though nothing worth doing ever is. Curl up with A Year at the Star and Sixpence - the perfect novel to welcome Spring.